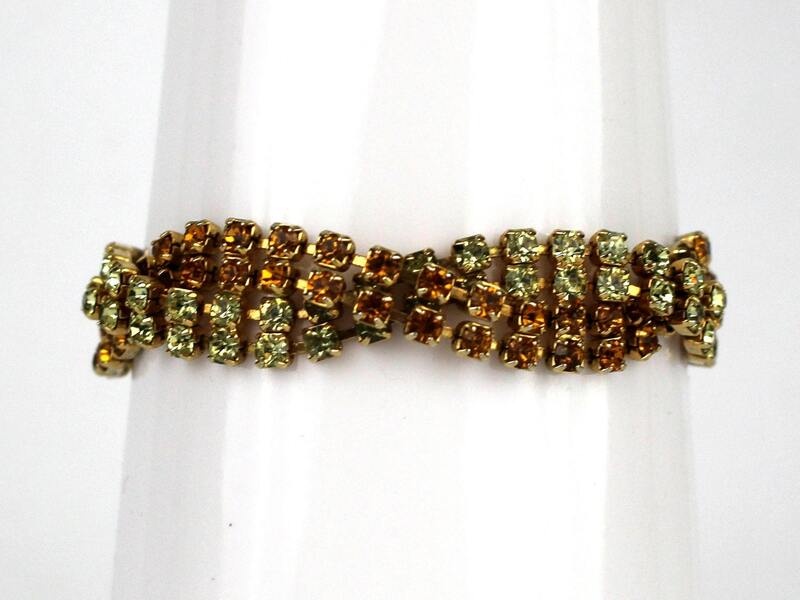 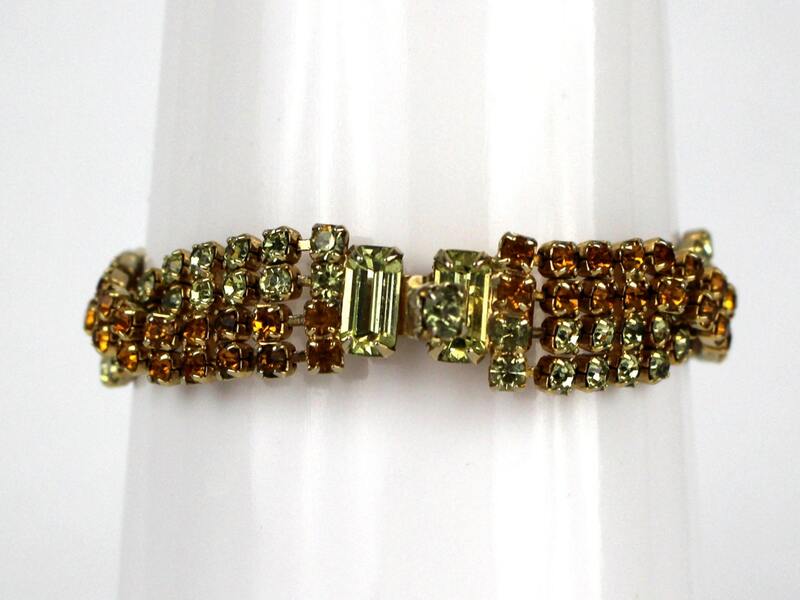 A beautiful bracelet consisting of two rows of pavé rhinestones twisted together. 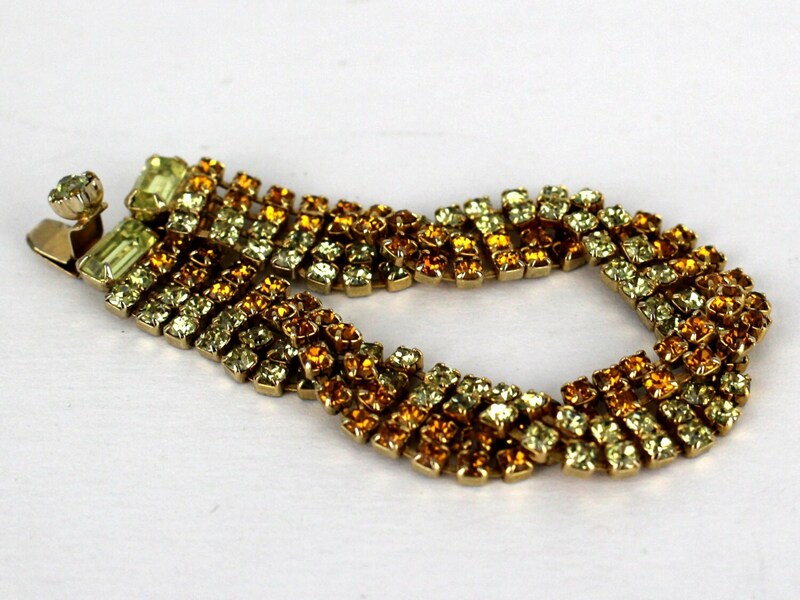 The colors are fantastic in a peridot green and amberish orange. 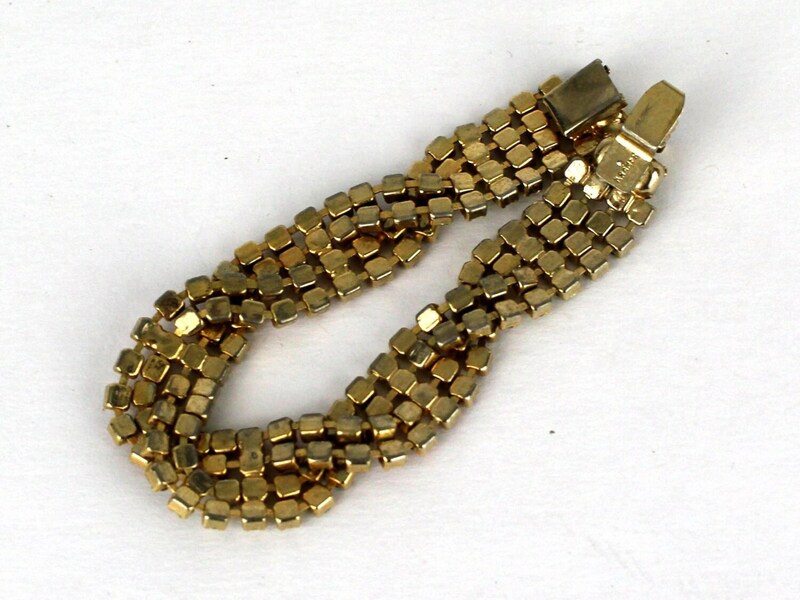 Decorated tongue clasp, signed Kramer.